Ryan took these images of this Rolex Milsub (Military Submariner) Reference 5513T. Rolex Milsubs are very rare and very expensive. They were originally made for military use in the U.K., and they have many distinguishing features that set them apart from a standard Submariner (Reference 5513). 1. 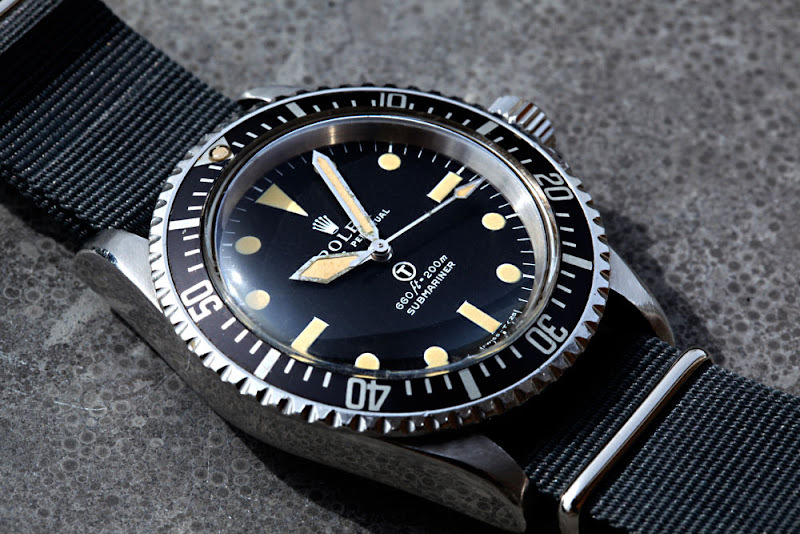 A bezel insert with minute markers that run all the way around the bezel, as aposed to a standard Submariner which only has individual minute markers that run from zero to 15 minutes. 2. Fat Sword hands that forgo the Mercedes/Peace sign on the hour hand. Also the second hand has a sword shaped second hand pointer. 3. The extra-heavy-duty Spring Bars are welded in between the lugs to make them extra sturdy, and the Milsub, only came on a NATO slip through strap. In other words, you would never see one on an Oyster or Jubilee bracelet because the spring-bars were welded in place. 4. 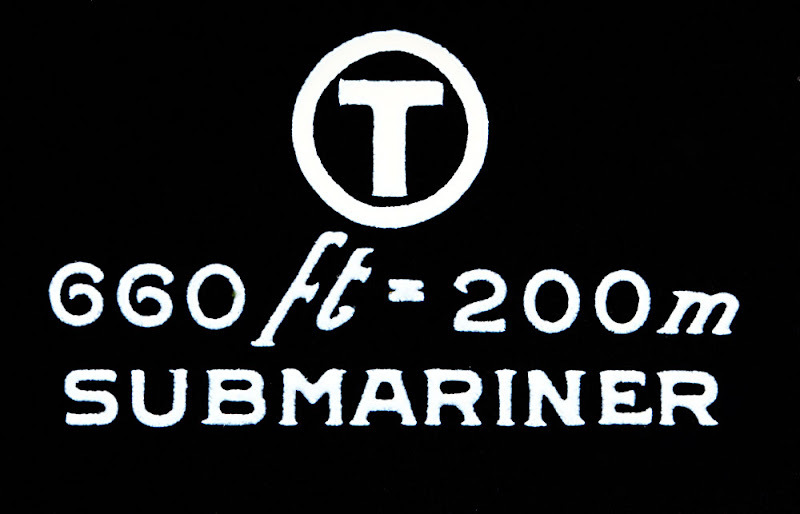 The dial on the 5513T has a "T" symbol designation printed in a circle on the dial directly above the 660ft=200m/Submariner designation. The "T" stands fro "Tritium" which is the type of material on the dial that makes it glow in the dark.